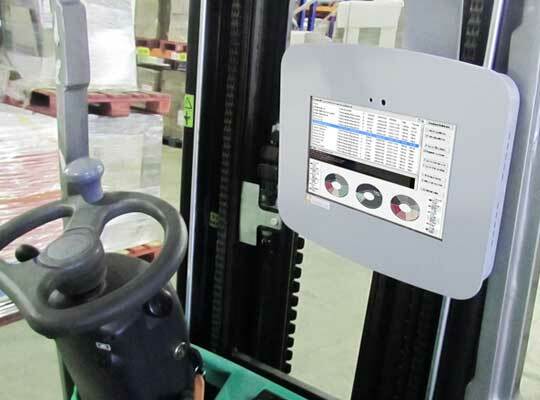 Are you tired of using spreadsheets, paper and timers to find out if your factory is productive? 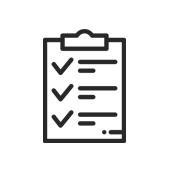 PARTTEAM & OEMKIOSKS provides you with a set of technological solutions that meet your needs. 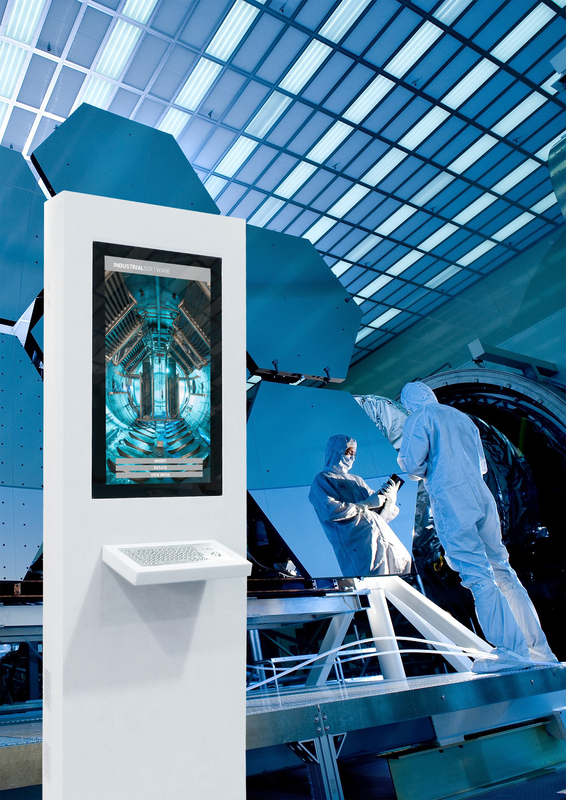 The applications of multimedia kiosks and digital billboards from PARTTEAM & OEMKIOSKS in Industry are endless. From increasing internal productivity to improving processes and communication with employees. Know your production and communicate effectively ! 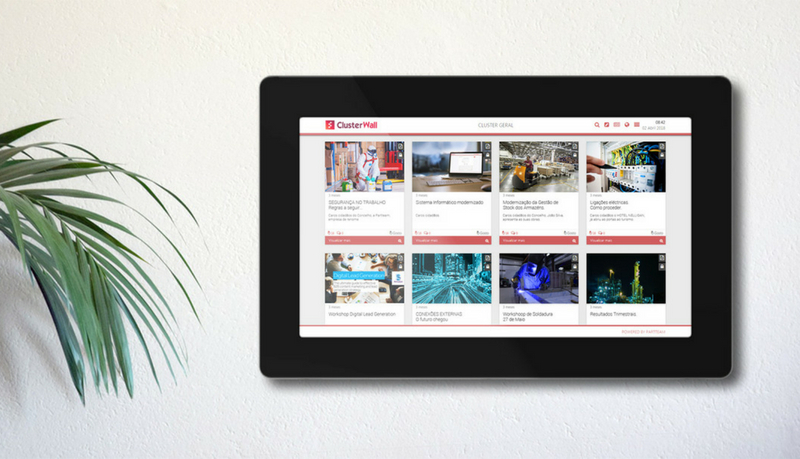 Discover the features that PARTTEAM & OEMKIOSKS technology has to offer you. 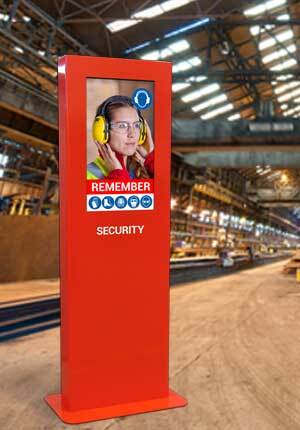 Warnings and alerts safety at work. 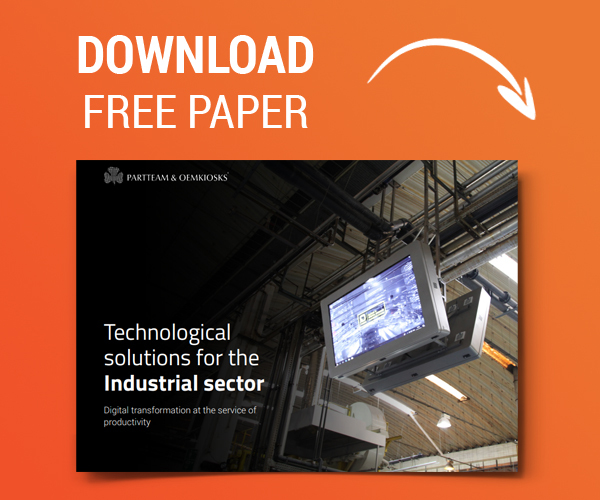 Easily identify bottlenecks in production, reduce paperwork and waste. 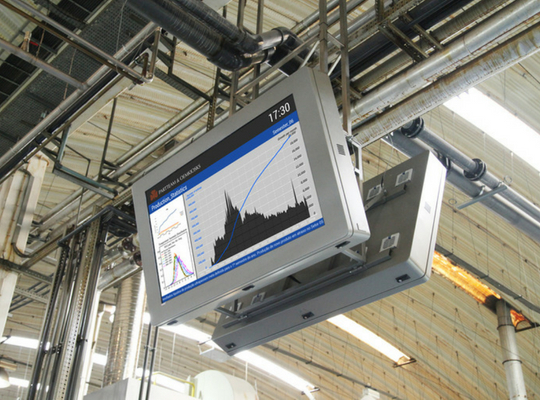 Collect employee productivity data through digital signage and enable the sharing of accessible and instant information at any location. 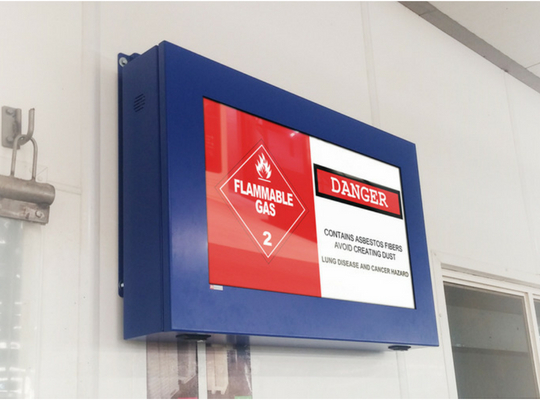 By using digital signage, it is possible to transmit static and dynamic messages, which highlight important warnings, advice and safety procedures. 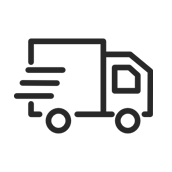 Track real-time the current status and availability of your machines to make timely decisions when you need them. 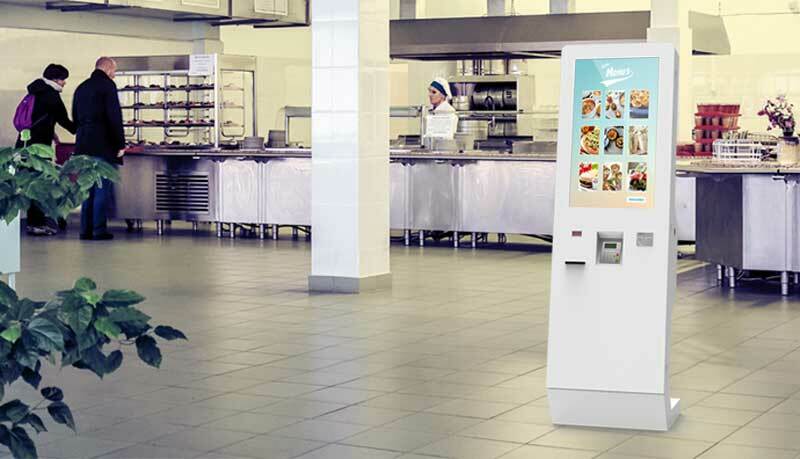 Increase the satisfaction of your employees and provide, through the self-service kiosks of PARTTEAM & OEMKIOSKS, a faster and customized service to employees of your company in canteens and dining rooms. Explore, create content and share opinions. There is a huge amount of information that can be disseminated privately or publicly through the Clusterwall. The ideal solution for the modern work area. 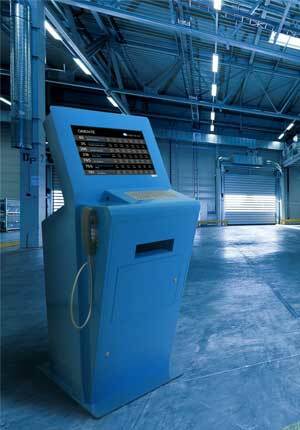 PARTTEAM & OEMKIOSKS self-service kiosks provide faster and more customized services to your company's employees. 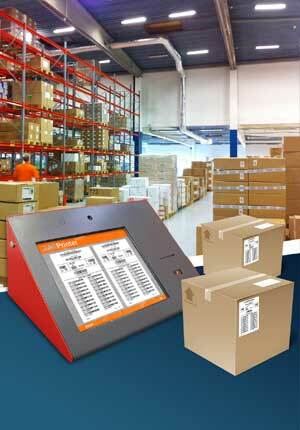 Self-Service kiosks for label printing increase employee productivity in industrial zones. With this intuitive touchscreen management system, you can optimize meeting room management. 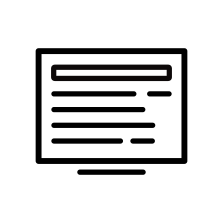 The QMAGINE queuing system provides queuing ordering, improving quality and effectiveness of service.